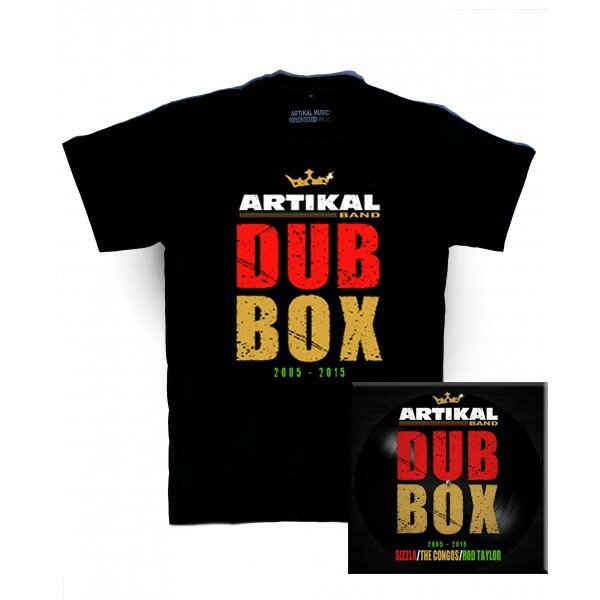 Artikal Band dub box 2005-2015 - Men's T-Shirt + CD (slim-fit) black short sleeves, round neck, 190 g / m², 2 ribbed edge thickness with elastane, heavy weight 100% semi-combed cotton, spun 24 / s of superior quality, tubular. 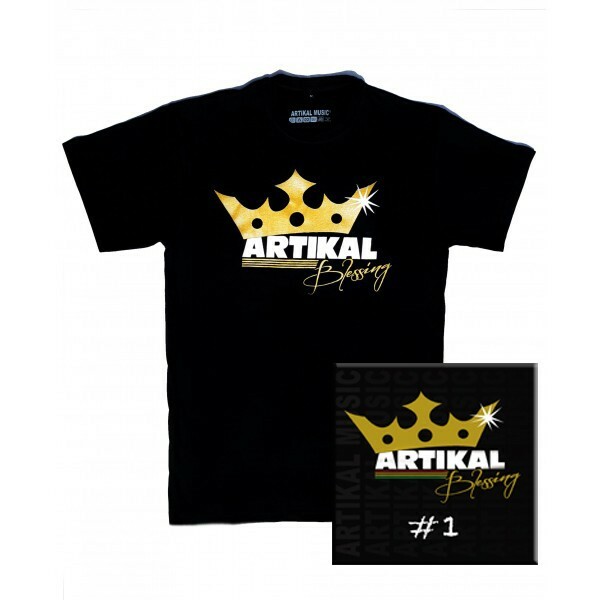 Artikal Blessing - Men's T-Shirt + CD (slim-fit) black short sleeves, round neck, 190 g / m², 2 ribbed collar with elastane, double stitch detailing, sleeves and stockings, jersey, heavy weight 100% -painted, ring spun wire 24 / s of superior quality, tubular. 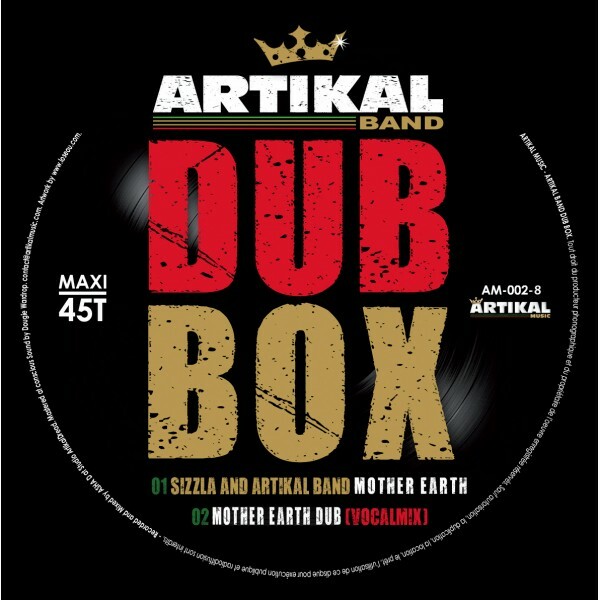 ARTIKAL BAND DUB BOX. 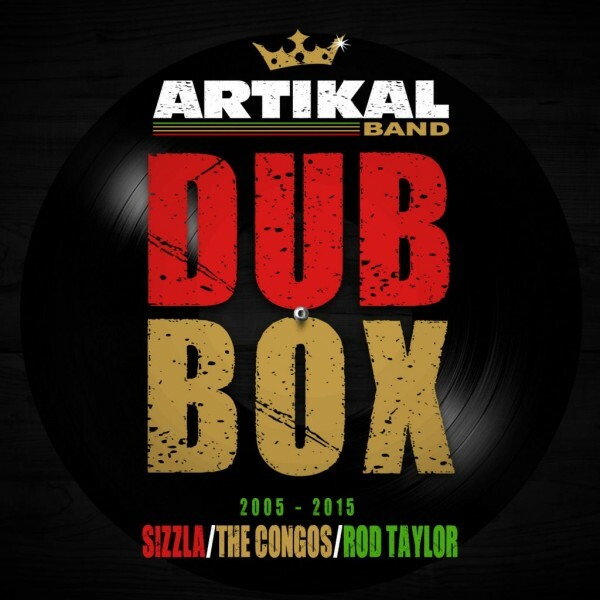 12 Titres MP3 - On retrouve des dubs d’inspirations différentes: steppa, UK dub. Au trombone, “Buttons” des Matic Horns. 3 titres sont chantés, “Cool Down”, interprété par The Legendary Congos. L’incontournable Sizzla Kalonji, avec “Mother Earth”. Rod “Rocky T” Taylor, avec “A New Song”. Ce travail a été masterisé à Londres par Dougie Wardrop, du label Conscious Sounds. 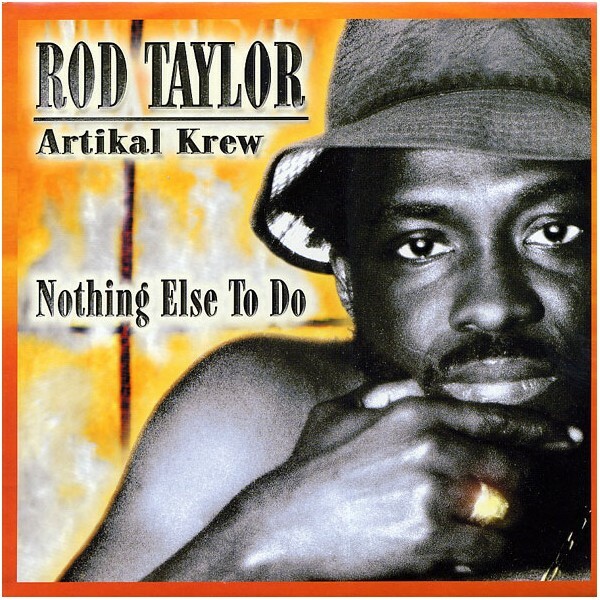 Rod Taylor & Artikal Band - Nothing else to do (Full Album MP3) - 01 A new song - 02 Never fade away (LP Version) - 03 Nothing else to do - 04 feat jahko lion - Don't go - 05 feat U Brown - Party - 06 Voices - 07 I know where am going - 08 Think about it (extended dub version) - 09 Lova Cheata Deceiva - 10 feat Mx - Trouble never set like rain - 11 Love and affection. 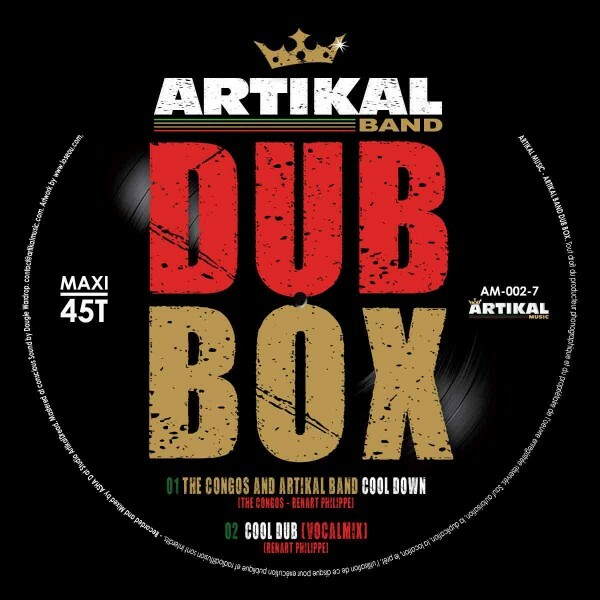 ARTIKAL BAND DUB BOX. CD 12 Titres. On retrouve des dubs d’inspirations différentes: steppa, UK dub. Au trombone, “Buttons” des Matic Horns. 3 titres sont chantés, “Cool Down”,interprété par The Legendary Congos. L’incontournable Sizzla Kalonji, avec “Mother Earth”. Rod “Rocky T” Taylor, avec “A New Song”. Ce travail a été masterisé à Londres par Dougie Wardrop, du label Conscious Sounds. 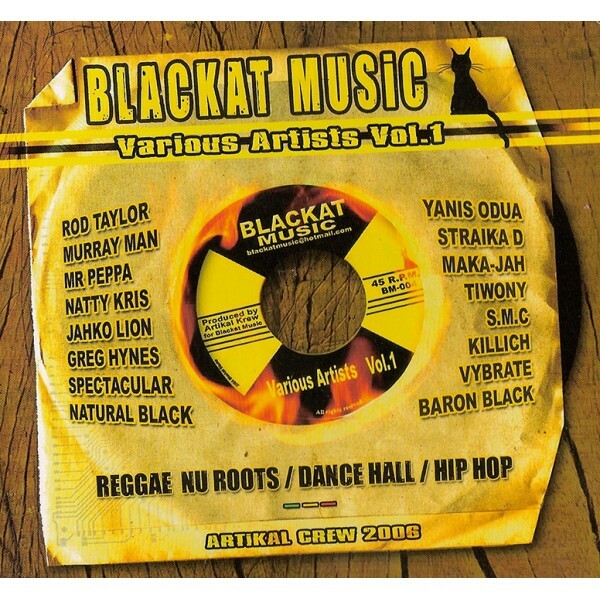 Blackat Various Artists vol 1 (Digital CD) 18 tracks mixing Ragga, Reggae and Hip-Hop Dancehall.The disc is made up of Jamaican and French-speaking artists:Rod Taylor, Murray Man, Spectacular, Natural Black, Yanis Odua, Straika D, Maka Jah, Tiwony, Vibrate, Baron Black.Includes two clips including the one with Rod Taylor.